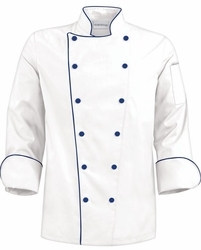 Add a little flair to your wardrobe with this traditional chef coat with fabric covered buttons. These Black or Royal fabric covered buttons will match the contrast piping along the neckline, chest and cuffs. 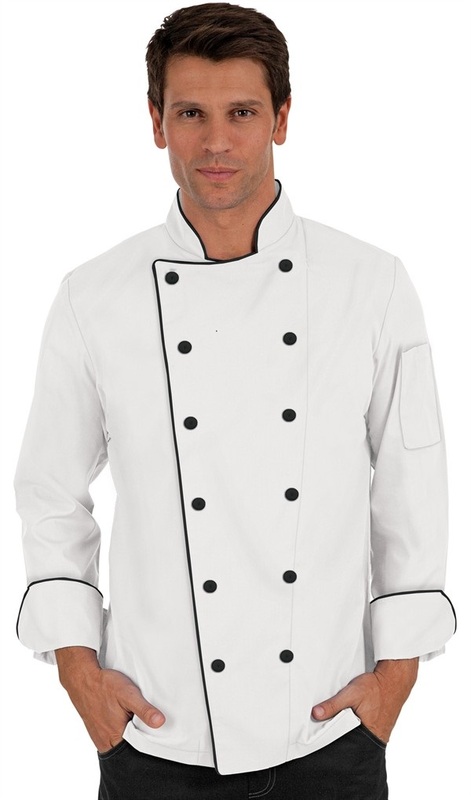 This traditional fit chef coat offers a tailored cut with extra room in arms so you can feel comfortable all day long. It also features underarm vents for extra coolness and a thermometer pocket on the left sleeve. It also has a reversible closure. 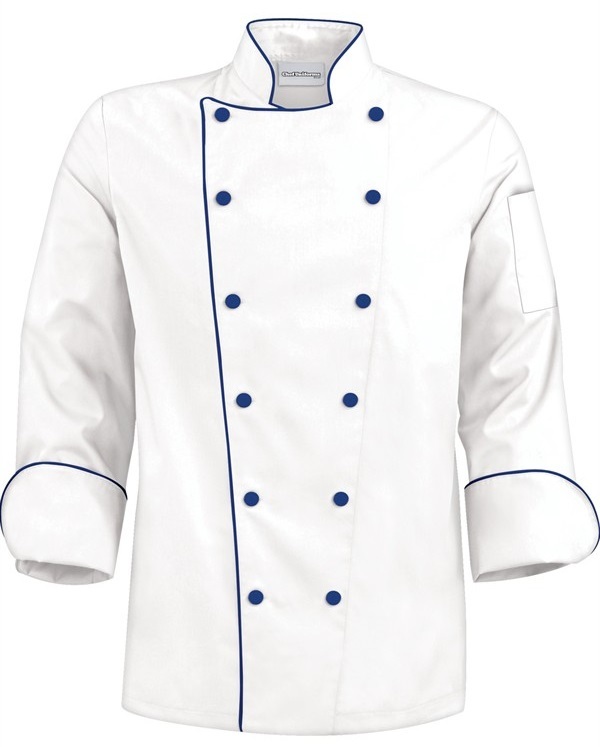 Fabric is Soft, Easy Care 65/35 Poly/Cotton Fine Line Twill.